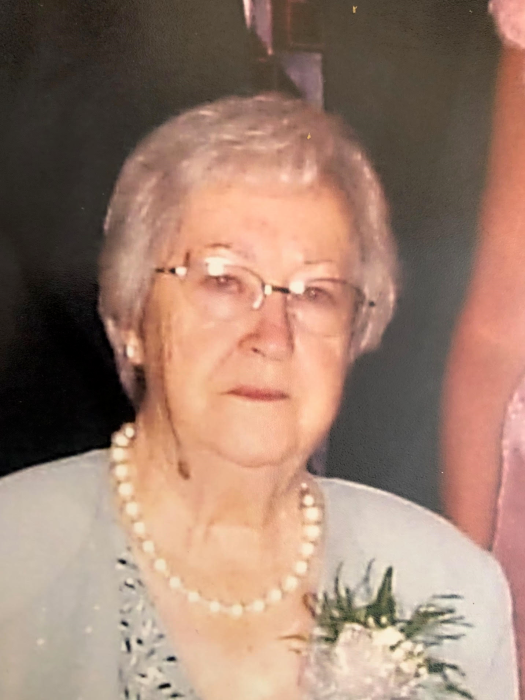 Ruth (McGraw) Lavelle, 92, of Avoca, passed away Thursday, November 15, at her home, with her loving family by her side. Born in Taylor on November 2, 1926, she was a daughter of the late Martin and Mary (Rindos) McGraw. Ruth was a graduate of Taylor High School and was employed at Topps Chewing Gum. She was a member of Queen of the Apostles Church, Avoca and the V.F.W. Ladies Auxiliary Post 8335, Avoca. In addition to her parents, she was preceded in death by her husband, John “Jack” Lavelle, Sr.; son, John “Jay” Lavelle and brother, James. M. McGraw. Left to cherish Ruth’s memory are son, Martin Lavelle and his companion, Janet Zborovian, Avoca; daughter, Mary Clarie “Missy” Long, and husband, Gary, Hughestown; granddaughters, Melissa Edwards and Leah Considine; great grandchildren, Max and Keegan and several nieces and nephews. Relatives and Friends are respectfully invited to attend the funeral which will be conducted on Monday, November 19, 2018, at 9:30 AM from Kniffen O’Malley Leffler Funeral and Cremation Services, 728 Main Street, Avoca w a Mass of Christian Burial to follow at 10:00 A.M. in Queen of the Apostles Church, 715 Hawthorne Street, Avoca. Officiating will be Father Phillip J. Sladicka. Interment will follow in St. Mary’s Cemetery. Family and friends may pay their respects Sunday from 2-4 P.M. at the funeral home.